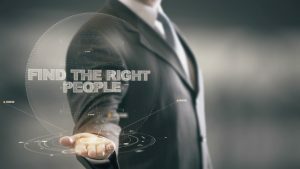 So much of our business depends on hiring the right person for the job. When evaluating applicants, we tend to focus on the skill set they will bring to the organization. Do they have the experience and skills to do the job we need them to do? Clearly, if you want someone to look after your books, you want someone who has experience with accounting, right? Of course, but there’s more to it than that. Maybe one applicant has more experience but is set in their ways and likes to do things their way—and only their way. Maybe one applicant has a little less experience and may require more training but is eager to learn new things and is a team player. There’s also a difference between the person who can do the job and the person who can grow the job. One person is going to help maintain the status quo. One person is going to continue to learn new things, adapt to future changes, and help the organization stay current or, better yet, one step ahead of the change. Hiring the right people makes all the difference. Hire people who can help your business be successful now and grow into the future! Jennifer I. Tougas, Ph.D., CAPP, is director of parking and transportation services at Western Kentucky University and a member of IPI’s Board of Directors.